No. The touch-move rule can't force you to make an illegal move, and it is not legal to put yourself in check. No, that's not a checkmate. The white bishop is currently pinned (in absolute pin because it protects the king from check by Black's rook), so there's no legal move can be made by that bishop. 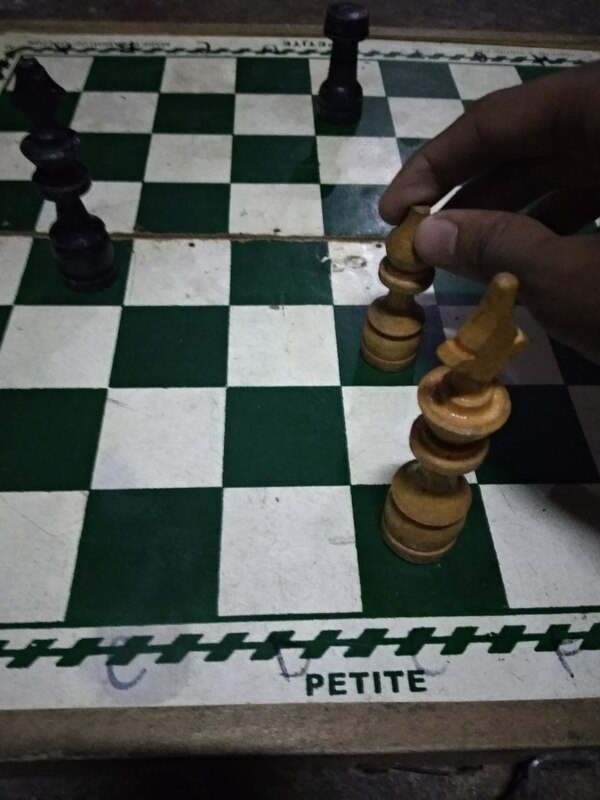 In short, this situation has no consequences, and you still can touch the king to continue play since touch-move rule doesn't apply for pieces in absolute pin. the checked king doesn't have any legal move to eliminate the threat (by capturing the attacking piece, moving to other square or interposing with other piece). Similar issue: What happens if you touch a pinned piece? I agree with those who responded that this is not a check mate, but rather the piece is absolutely pinned, and since it's not legal to move that piece, another move, if available, must be played. You raise your hand to call the judge. You explain what your opponent attempted to do. The judge may give you two extra minutes on your clock. The judge may give your opponent a first warning, and inform them that if a second illegal move is attempted, your opponent may automatically lose the game. For your specific game, if it's King + Bishop versus King + Rook and nothing else is on the board and no mistakes are made, then this is usually a theoretical draw. Not the answer you're looking for? Browse other questions tagged rules checkmate or ask your own question.